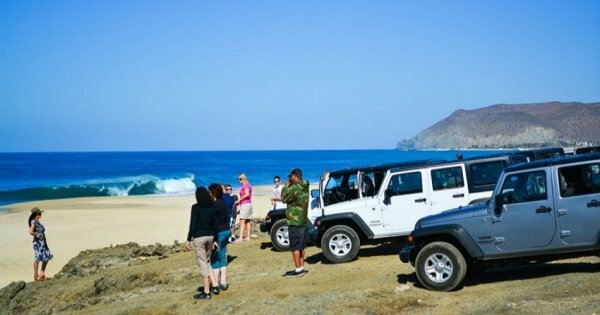 On this exciting Jeep Safari, we will make our first stop at Cerritos Beach where you can take a stroll on this beautiful stretch of beach, a splash in the water or just sit back and watch the surfers at play. Then we move on to the town of Todos Santos, here you will have some free time to visit the bevvy of galleries and handicraft stores this unique town has to offer. Then take a break and enjoy a relaxing meal at a local restaurant. Now it´s time to explore the back roads of the Southern Baja and enjoy the spectacular views of the Sierra Laguna whilst driving a 4 x 4 Jeep. valid drivers license if you wish to drive.